with over 25 years experience in private practice. Each of our attorneys have over 25 years experience and are former patent examiners, giving you the peace of mind that your lawyer is thoroughly experienced with patent, trademark and copyright prosecution and litigation. 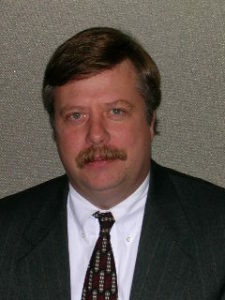 Jim Merek earned a Mechanical Engineering degree from the University of Maryland. Mr. Merek is a former Patent Examiner. Mr. Merek received his law degree from Georgetown University with honors. He is registered to practice before the United States Patent and Trademark Office, and is also licensed to practice law in the District of Columbia. Mr. Merek’s practice areas include litigation of patent, trademark, copyright and unfair competition matters before District Courts throughout the United States and before the United States Court of Appeals for the Federal Circuit. Mr. Merek has twenty-five years of litigation experience and has acted as lead counsel on Intellectual Property cases pending in the states of Alabama, California, Illinois, Michigan, Minnesota, New York, North Carolina, Pennsylvania, Virginia and Washington. Mr. Merek has been lead counsel on numerous appeals before the United States Court of Appeals for the Federal Circuit. Mr. Merek has also represented a Fortune 500 company in a European Opposition proceeding. Mr. Merek’s practice also includes appearances before the Patent Trial and Appeal Board as well as the Trademark Trial and Appeal Board. Jim has extensive experience in initiating and defending reexamination proceedings and also files and prosecutes patent and trademark applications in the United States and foreign countries. Mr. Merek also counsels corporations and individuals on licensing, infringement, validity, enforceability and patentability matters. Mr. Merek has experience in the following fields: Automotive; Computer; Environmental; Telecommunications; Medical Devices; Manufacturing; Coal Mining; Water and Wastewater Filtration; Air Filtration, Testing and Monitoring Equipment; Agricultural Equipment; Railroad; Containers; Electromechanical Devices; Coal Tar Emulsions; Chemical Additives; Oil/Gas Drilling; Fuel Storage and Supply Systems; Industrial Refuse Equipment; Food Processing; and, Golf equipment. Robert Blackmon earned a degree in Mechanical Engineering from Clemson University. Mr. Blackmon received his law degree from George Mason University with a concentration in Corporate & Securities Law. He is licensed to practice law by the State of Virginia and is registered as a Patent Attorney with the U.S. Patent and Trademark Office. Mr. Blackmon has worked for the Navy as an Aerospace Engineer at NAS Alameda, California. Mr. Blackmon was a Patent Examiner for the U.S. Patent and Trademark Office working in the fields of Pumps and Jet Engines and other diverse areas such as Lubrication, Bicycles and Golf Equipment. 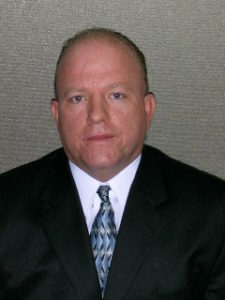 Mr. Blackmon is actively involved in the prosecution, licensing, and litigation of Patents, Trademarks and Copyrights. He counsels clients in diverse mechanical fields as well as computer and electronic arts. In particular, Mr. Blackmon has experience in the fields of Energy Production, including Oil/Gas Drilling and Production, Fracking and Coal Mining; Manufacturing; Medical; Transportation, including Aircraft, Turbine Engines; Automotive, Bicycle and Agricultural Equipment; Communications, including Telecommunication and Television Broadcasting; and Electronics, including LED Lighting, Medical Uses of Light, Fiber Optics, Computers, Wireless Communication, Internet Technologies, Software Patents and other Business Method applications. David Voorhees earned a Civil Engineering degree from Kansas State University. 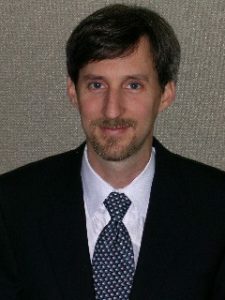 David Voorhees is a former Examiner for the United States Patent and Trademark Office where he focused on Packaging, Metallic Receptacles and Article Carriers. Mr. Voorhees earned his law degree from George Mason University School of Law concentrating in Patent Law. He is licensed to practice law in Virginia and the District of Columbia, and is registered as a Patent Attorney with the United States Patent and Trademark Office. 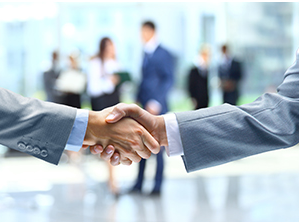 Mr. Voorhees is actively involved in the prosecution, licensing and litigation of Patents, Trademarks and Copyrights. He counsels clients in diverse mechanical, biomechanical and electromechanical fields as well as industrial compositions and processes. He has handled many complex procedures in the United States Patent and Trademark Office including: Reexaminations, Reissues, Appeals to the Patent Trial and Appeal Board, Trademark Oppositions and Interference Proceedings and has participated in Opposition Proceedings at the European Patent Office. Mr. Voorhees has considerable litigation experience in numerous Federal District Courts throughout the United States and in the Court of Appeals for the Federal Circuit.